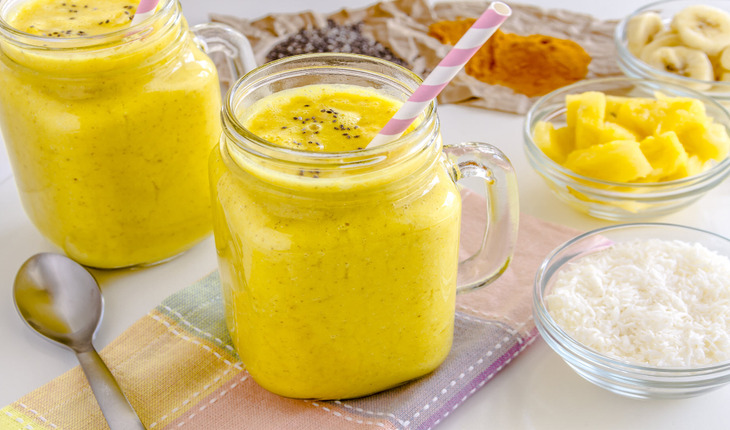 We love turmeric. Why? It has been used in India for thousands of years as a spice and medicinal herb. With it’s powerful anti-inflammatory and antiseptic qualities, you’ll be imbibing a potent antioxidant with this delicious vodka cocktail. And that’s not all – turmeric also acts as an anti-depressant. So get happy with this drink! Process all ingredients in a juicer. Pour into cocktail shaker. Add vodka and ice. Shake well. Pour into glass with ice. Enjoy! Substitute turmeric powder if you cannot get turmeric root.